Providing consistent interactions across all digital properties like web & mobile is the key challenge faced by business personnel as well as the IT Management. For massive organizations with multiple IT stakeholders, providing this consistency across channels is a bigger challenge. With innovative technology being launched every year, managing multiple channels by keeping a control on the operational cost is also difficult. As if these two channels were not enough, there is now a new addition to the list – Chatbots. 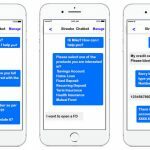 Chatbots will change the way end users interact with business applications and perform digital transactions. Every organization would want to leverage this opportunity to tap into this new channel, either to increase customer base or drive app adoption or to empower their sales channels or to increase enterprise-wide productivity. 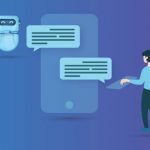 One of the key challenges facing IT is not just the additional investment for building chatbots but also the associated management and maintenance costs. How can they address this problem? One of the ideal ways to solve this conundrum is to publish all their digital assets using a single source code without impacting the overall user experience. Streebo proposes Digital Experience Accelerator to build and run digital properties. With this low code -no code tool, it is quite easy to develop application widgets. Now, assemble application widgets to construct a digital property and generate executables for web and downloadable offline mobile application based on the latest frontend frameworks like Angular, IONIC et al. Streebo DXA has inbuilt governance platform for IT team to control & configure role-based access, enable various security features and generate executables for different platforms. The low code/no code tool is a drag and drop tool with inbuilt workflows, validations, rules, access controls and a point and click interface for backend integrations with any RDBMS or any middleware or CRM or ERPs like SAP or any core banking system or custom applications which has a REST or web services interface. 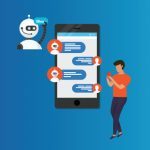 With the recent addition of Streebo Chatbot builder, it also exposes the same application widgets as Chatbot applications – which means any of these forms widgets or any report/data widgets can also be exposed as a Chatbot interface for end users to complete the whole transaction over a textual or voice conversations. e.g. Banking customers can transfer funds or pay bills, Insurance agents can enrol their customers, retail customers can buy products, service agents can execute their job work or sales agents can interact with their CRM through Chatbots over a textual or voice conversations. Streebo Digital Experience Accelerator not only cuts down the development cost & time to market by 40-50% but it also allows to have a downloadable offline mobile app. It allows IT teams to centrally control both web and mobile assets and empower them to have much better control over their digital assets in production. For small to mid-sized organizations, IT teams can really scale faster without growing with increasing digital assets. It also empowers large IT teams to serve their business better in terms of meeting time to market expectations and addressing greater volumes. With Streebo DXA, we are contributing in the digital transformation journey of lot of our mid-large size customers across the globe. It is helping them grow faster and take their competition head-on.